When your overnight trips start turning into overland excursions, you need gear that matches your thirst for adventure. The MT35 is built to keep your grub fresh or frozen when you head off the grid. 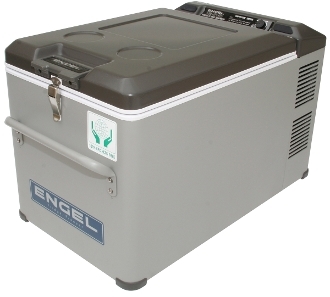 Engel fridge/freezers run on battery power (12V/24V DC) or 110V AC, so whether youre on the road, on the water or safe at home, you can use your Engel to make life a little easier. Internal Dimensions: 15.4" x 10.8" x 12.4"